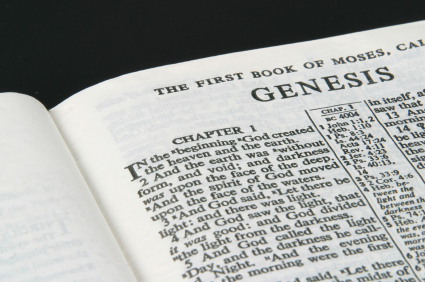 In the United States, many fundamentalist Christians support teaching creationism side-by-side with evolution in public schools in order to provide a balance of perspectives. After all, they claim, it is only fair. The problem with this argument is that it is actually not fair to balance evolution with creationism in science curricula, because creationism is not subject to scientific enquiry. It is a matter of faith. Besides, some religions teach creation stories different from the Christian one, and it is unfair to teach Christian creationism but not, for example, Hindu creationism. A similar argument was made in a recent editorial in Hilltop Views, a student newspaper published by the School of Humanities at St. Edward’s University, in Austin, Texas. In that article, the author, Bailee Perkins, gives at least two major reasons why it is unfair to teach creationism alongside evolution: first, creationism cannot be tested scientifically, because the concept on which it rests—God—itself cannot be tested scientifically; second, if Christian values and principles should be taught, so should the values and principles of Islam, Jainism, paganism, and other religions, but this may prove daunting and unrealistic. But a balance of perspectives must be fair in order to be valid; otherwise, it is like comparing apples with oranges. It is unfair to teach creationism alongside evolution in public school science classes because creationism presupposes the existence of a divine creator or higher power, which is not scientifically testable, whereas evolution deals with natural physical properties which are scientifically testable. Creationism requires only faith to be believable; evolution, however, must satisfy the demands of the scientific method to be believable. It is unfair to compare creationism to evolution when the standard being used is the scientific method. Thus, comparing creationism with evolution is not a fair balance of perspectives. In fact, religious faith allows a person to claim that something is true just because they have faith in it. It is a sophistic way of allowing a person to be right all of the time for no actual, provable reason. And that is not a level playing field. Religious faith may be a fair opponent on its own turf, but not on the field of provable hypotheses. After all, science classes are supposed to play by the rules of the scientific method. Thus, we can see that using faith as a standard for truth gives an arbitrary, unfair advantage to creationists in a game that is not meant to be played by their rules in the first place. But where does it end? How many religions must be included in a creationist curriculum? If we teach the creation story of one religion, we must teach the creation story of every other religion, because this would only be fair. But where do they all fit in? Allowing creationism to be taught in the classroom is a slippery slope: eventually, we would have to accommodate every creation myth under the sun, and if we include Hindu, Buddhist, and Hopi in addition to the creation story in Genesis, we would be forced to sacrifice class time devoted to core secular subjects that American students lag behind in—such as math, science, and logic. Public schools, in essence, would become more like seminaries or religious philosophy schools, and they would lack comprehensive coverage of all of the arts and sciences. It seems, then, that the most practical solution to this problem is to keep creationism out of public schools altogether. Besides, if parents want their children to learn about creationism, why don’t they just teach it to them at home, or take them to a church sermon or Sunday school? Meanwhile, nonreligious students get to keep their right to freedom from religion in a secular public school domain. This seems like a fair compromise. First, this is a logical fallacy known as argumentum ad populum, which states that something must be right because it is popular. It is like saying that you should smoke just because all of your friends do. A scientific hypothesis gains privilege not because of how many people believe in it, but by how well it withstands the test of objective verification. If we do not yet know which hypothesis is superior, we must start out by treating them all as equal. For, in the end, the majority might have their facts wrong. Second, the First Amendment of the United States Constitution was created largely with the intent of protecting minorities from tyranny of the majority (cf. Thomas Jefferson’s letter to the Danbury Baptist Association). It is redundant to push for protection of the majority when the majority, due to their sheer numbers, do not need it. That is why constitutional rights are put in place—for those who need them. Christians are not being persecuted in America—if anything, Muslims are. Christians even get to put up the Ten Commandments in some Virginia schools (because, they say, most people in the community hold those values). There would be an uproar if a passage from one of the Quranic suras was placed on a public school wall. When Christians start to be persecuted, then they can invoke the First Amendment. In summary, teaching creationism alongside evolution in public schools does not provide a fair balance of perspectives. The first reason for this is that creationism is not a testable hypothesis, whereas evolution is. This creates an unfair advantage for creationism over evolution in a field (science) in which all hypotheses are expected to be testable, in accordance with the scientific method. The second reason why it is unfair to teach creationism in public schools is that it largely reflects Christian beliefs (in the U.S. at least), and it is unfair to teach Christian beliefs but not other religious beliefs. And it is impractical to teach all religious beliefs. So creationists should stop arguing that teaching creationism alongside evolution in public schools provides a fair balance of perspectives. It does not. It is a shrewd and Machiavellian way of weaseling in an unfair preponderance of perspectives. I stumbled upon this website hoping to find some worthwhile arguments against creationism, but after reading this I feel that creationism has been deeply misrepresented by a very biased mind. First of all, creationism is a testable hypothesis, due to the extraordinary evidence of the fossil record and genetic makeup. There is no fossil evidence supporting “intermediate species”, and today’s scientists have discovered just how complex species’ DNA is. No random process could have possibly made this; there is too great of evidence that it was designed. Secondly, neither creation nor evolution can be tested by the scientific method because no one was present when they “occurred”. Therefore, evolution, as well as creationism, requires the faith that it did at one time happen, and, if I’m not mistaken, faith is associated with religious beliefs. Evolution is directly influenced by atheism(a religious opinion on the existence of God), but yet it is still treated as scientific fact while creationism won’t even be considered. If one really wanted to be “scientific” about this issue, they would examine all of the evidence and theories without bias. we also have to remember without the ten commandments lying, stealing, cheating and murder, along with many other things, would wrong. The beginning of life and the creation of Earth is one of the most disputed issues our world is faced with. One popular theory of the creation of the world is evolution, the idea that all living things progressed and evolved from a single cell. This theory is what is being taught in science class. Creationism is also used to explain the forming of the Earth, and it states that a supreme being was responsible for the beginning of life. Many people believe it should not be taught in school on the grounds that it violates the separation of church and state. Among the differences in the beliefs of evolution and Creationism are the age of the earth and how the first humans came into existence. Several states have been attempting to reinstate the teaching of Creationism alongside evolution, but this has caused heavy disagreement. The theory of Creationism must be taught in public schools alongside evolution in order to give students the choice of how they believe the Earth was formed and how life began. Creationism needs to be taught in public schools to give students all of the facts about how the Earth could have been created. In order for teachers and schools to be doing their jobs, students should have access to any and all information, including theories about the beginning of time. An article written on this subject states, “Arguably, ‘first causes’ cannot be determined; they are only a matter of speculation. That does not make one set of speculation more valid than another, much less deserving of presentation to students…To do so would be to exclude a train of thought that might someday prove accurate” (Jacobs, Donnelly). Students should be presented with the complete amount of information and be allowed to decide for themselves how they believe the world was created. It is not right to hold back information from them that for all we know could someday prove correct. No one really knows how the Earth was created. All we have to base our understanding off of are theories, not laws, and without a scientific breakthrough that is what they will remain. By not presenting and teaching Creationism, students are being robbed of a proper education and the right to choose their own beliefs. One argument given by those opposed to teaching Creationism is that it violates the separation of church and state. People believe public schools should remain strictly secular to uphold this separation, but teaching Creationism can comply with these parameters. In a case debating this issue, the Supreme Court stated, “Teaching a variety of scientific theories about the origins of mankind to school children might be done with the clear secular intent of enhancing the effectiveness of science instruction” (“Edwards vs. Aguillard”). Teaching Creationism can be done without making it focused on religion. Although many religions do support Creationism, it does not have to become a lesson about religion as long as the teacher does not make it that. An article written by Robert L. Simonds features a quote from Dr. John Moore on the issue of teaching Creationism in which he says, “there is no possible violation of so-called separation of church and state, since no religious teaching is involved” (Moore). Also, schools teach about religions in social studies, however no one complains of this as imposing religion or violating the separation of church and state, and this teaching is directly about religions themselves. Why, then, is there such a large fuss about Creationism since it does not affiliate with a specific religion or religious practices? Another common argument used to dissuade Creationism from being taught is that it is not a scientifically provable theory. This may be true; however, the same statement can also be applied to evolution. A document written by Henry Morris states, “Evolutionists commonly answer…by claiming that evolution goes too slowly for us to see it happening today. 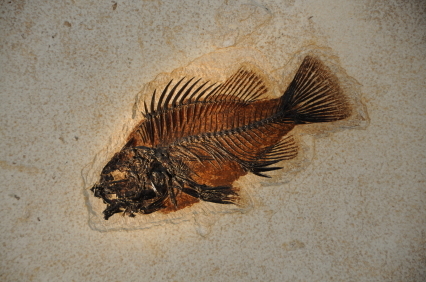 They used to claim that the real evidence…was in the fossil record of the past, but the fact is that the billions of known fossils do not include…structures in the process of evolving” (Morris). There is no physical, observable evidence to prove evolution. A video created by Ray Comfort shows interviews in which Mr. Comfort asks biologists, professors, and other science majors to give him one example of a change of kinds due to evolution, and not one of the interviewees are able to do so (“Evolution vs. God”). The fact of the matter is neither evolution nor Creationism is provable or supported by evidence. They cannot be replicated, observed, or tested in any way, because evidence to support them does not exist. If this is true of both theories, how can we say that evolution should be taught, but not allow the teaching of Creationism on the grounds that it is “unscientific”? Lastly, evolution takes just as much faith to believe in as Creationism does. There is no scientific, observable proof to support evolution so it must be trusted through blind faith. In other words, it involves believing without seeing. It takes faith to believe in, and that means evolution relates to atheism in the same way that Creationism relates to Christianity. Teaching only evolution is technically forcing the religion of atheism on to students. Also, the theories can coexist. The Reason for God, a book written by Timothy Keller, claims that evolution and Creationism can work side by side, and can potentially both be correct. His book features a quote from a commentator on the chapter of Genesis in the bible which states, “It would seem that there is little reason for conflict between the implications of Christian belief in the Creator and the scientific explorations of the way which God has gone about his creating processes,” (Keller, 98). Science and faith should work together, not against each other. This could be the key to unlocking many of the mysteries of the world we live in, but before this can happen, the young leaders in our communities need to be fully and completely educated on everything and anything possible. In brief, there is no reason why Creationism should not be taught in public schools. It is just as valid and relevant as evolution. In fact, Creationism is believed by 42% of Americans, according to a survey done by the Washington Post (McCoy). Creationism and evolution can coexist. They can both be “right” to certain extents. No one has definitive proof that one is more legitimate than another. Be the voice of reason among our public school districts. Students should be taught all relevant theories and be allowed to make their own choices regarding what they do and do not believe. Fight for rights for students and push to have Creationism taught in public schools across America. Edwards vs. Aguillard. No. 85-1513. United States Court of Appeals for the Fifth Circuit. 19 June 1987. Evolution vs. God. Dir. Ray Comfort. 2013. Youtube. Keller, Timothy. The Reason for God. New York: Riverhead Books, 2008. McCoy, Terrence. Pope Francis may believe in evolution, but 42 percent of Americans do not. 19 October 2014. Article. 20 November 2016. Moore, John. Teachers Can Teach Creation Science in the Classroom. 1989. 18 November 2016. .
Morris, Henry. The Scientific Case Against Evolution. n.d. 17 November 2016. .
W.E. Jacobs, Matt Donnelly. “Intelligent Design Should be Taught Alongside Darwin’s Theory of Evolution.” 1 March 2016. Points of View Reference Center. Document. 15 November 2016. Evolution was not created by atheists. Get your facts straight. Many Christians know evolution to be true because of the evidence for it. Your entire argument is suspended on your statement that “Creationism is not subject to scientific enquiry. It is a matter of faith.” However, this misconception suggests that you have no understanding of the contrary point of view. Christianity is not a blind faith. In fact, there is copious evidence to support Christian beliefs, the most obvious being the bible. This strange book is historically impeccable and has accurately predicted hundreds of events. For instance, around 732 B.C.E., a biblical prophet boldly penned that Babylon would fall to a leader named Cyrus, and that the city would never again be inhabited. This is the equivalent of a modern individual claiming that New York city would soon be conquered by a man named John never to be rebuilt. Preposterous! Two hundred years later, however, Babylon fell, and the prophecy was fulfilled down to the finest detail. Maybe he was lucky, right? Inversely, evolutionists have not been able to present a single credible skeleton between the stages of ape and man. However, this theory is taught in schools as though it is a fact, not because science supports it, but because it a less contradictory belief. Society has fallen off the other side of the horse in its attempt not to offend those who are not Christians. While I am not suggesting that the Christian religion be taught in schools, it is clearly inappropriate to alter facts or dismiss the most historically accurate book for its time. It is not for the school system or government to decide what we learn and what we believe.